Why Use an Executive Recruiter ? A well managed company relies on the expert services of outside professionals such as Accounting, Advertising and Legal firms. Judicious employers regard Executive Search firms in a similar fashion. There can be no doubt that one of the most crucial elements of a company’s success is the quality of the people it employs. Executive Recruiters have well honed skills for identifying those individuals with proven skills and track records that set them apart from the pack. Why Use ExeCareer Search Group ? ExeCareer Search Group (ExeCareer) offers more than 20 years of recruiting excellence in its area of expertise-INSURANCE. ExeCareer is well tuned in to the insurance industry. We have an established network of contacts to help lead us to the most qualified individuals for your existing need in the shortest amount of time. Usually those people exist right in your geographical location saving you costly relocation expenses. Since we work on a contingency basis, the fee for our services is due only once we have successfully completed the assignment. We take pride in our quality performance and understand the value of customer satisfaction. Our reputation is of utmost importance to us. Our services to your organization and the fee involved should you hire our candidate are really a long term investment in quality. Our goal is to become “Your 1st Choice in Executive Search”. 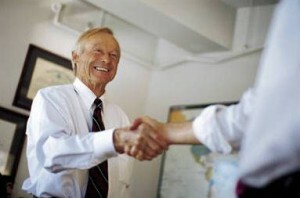 We have identified two very informative articles written on the subject of hiring. Please refer us to other hiring managers who might benefit from our services. Our continued success is built upon networking. Our company also offers cost effective Virtual Out-Placement Services on an Individual and Group basis. Please click here for more information. Do you have a Success Story about your experience with our company that you would like to share? We would love to hear from you. Please visit our Success Story page.